A friend with a young son who is a picky eater reached out to me a few weeks ago. I was in the midst of the busiest time of my drama season but I wanted to help her anyway. Her son’s pediatrician had said she needed to get more green vegetables into his diet, but he refused to eat vegetables. Since he has had food allergies for most of his young life, he has adapted to being picky about what he eats. As I mentioned, I was in a rather busy time of life so trying to figure out a recipe he would eat was not high on my ideal list of using my time, so I decided that I’d consider a muffin recipe to make. One, muffins are quick and easy. Two, we could eat them with most anything as I was experimenting. Three, children like muffins, and adults can hide most anything in a muffin. 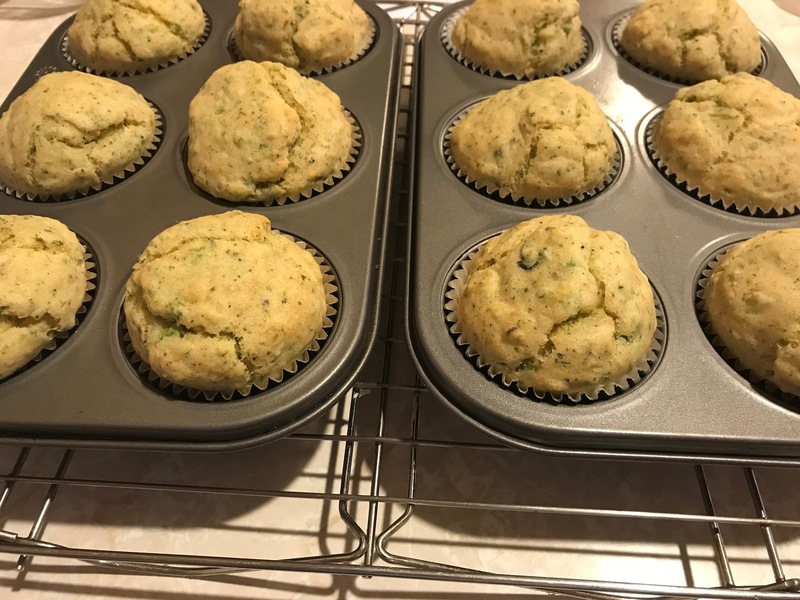 In the end I worked out a savory broccoli muffin which my family really liked and which my friend’s son ended up liking, too. He apparently never even realized it had broccoli in it! So, I share it here for you to try for yourself. Preheat the oven to 350 degrees. Line a muffin tin with 12 cupcake liners. Combine the flour, baking powder, oregano, basil, pepper, ground onion, and ground thyme, and set aside. In a food processor, pulse the broccoli florets with the vegan cheese slices into you have well blended small pieces. Mix the broccoli and cheese mixture into the dry ingredients. Add to the dry ingredients the egg whites, oat milk, and olive oil, and mix quickly, just until the dry ingredients are incorporated into the wet and well blended. Divide the batter among the muffin tins and bake for 15 to 20 minutes until puffed, golden, and a toothpick inserted in the center comes out clean.